Lazer believes in simplifying lives and switching on happiness. The sleek, aesthetically appealing and compact designs created by the brand for the appliances are at par with the international standards. With the incorporation of ultra-modern technology; superior performance and energy efficiency become innate qualities of Lazer appliances. 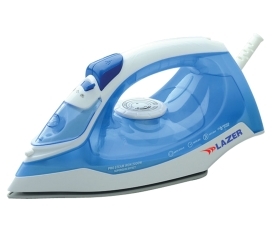 Lazer turns kitchen more of a fun place and facilitates cooking of healthy and delicious food through its range of food preparation appliances. 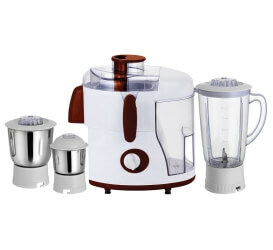 No more stressful encounters with cutting, chopping or grinding, Lazer appliances will do that with a push of button. 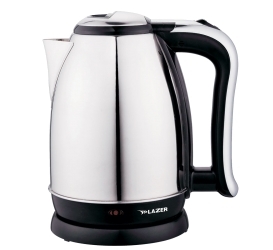 The comfort of having hot tea, coffee or water with a mere push of button is made possible by Lazer Brewing range. 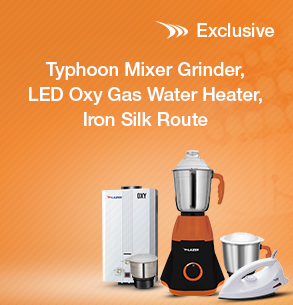 No more using pans and pots to prepare tea, while the brewing kettles efficiently serve all such needs. 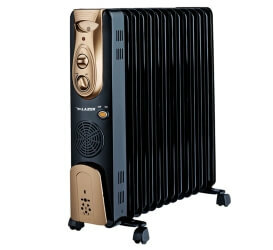 The largest manufacturer of ISI marked room heaters, Lazer offers a whole range of climate control appliances to choose from. All the appliances come with high conduction thermal capacity and temperature regulation abilities, ensuring proper climate control, without long electricity bills.